Indigenous Australians’ history has long been recognised as among the world’s oldest. Archaeological records indicate the first Australians arrived on the continent around 50,000 years ago, very soon after the first wave of humans moved out of Africa. Yet for centuries almost nothing has been known of how they evolved and survived. Internationally celebrated research led by the University of Adelaide is filling that gap; and setting what’s widely considered a new benchmark for working with indigenous peoples all over the world. The landmark “Aboriginal Heritage Project” is using DNA analysis to reconstruct Australia’s entire pre-European-settlement genetic history—using a scientifically priceless South Australian Museum collection of hair samples collected between the 1920s and 1960s, together with cultural, linguistic and genealogical data. According to lead researcher Professor Alan Cooper, who directs the University’s Australian Centre for Ancient DNA, the project’s findings are of enormous historical and cultural significance. “We’ve shown modern Indigenous Australians are the direct descendants of a single wave of human migrants that spread rapidly south in parallel routes following the east and west coasts,” he says. “But strikingly, following that initial wave there has been very little population movement between regions over the subsequent 50,000 years, despite tumultuous climate and environmental change. The project’s first phase involved analysing maternal genetic lineages using mitochondrial DNA (mtDNA) from 111 hair samples, originally collected from Indigenous Australian communities in south-eastern Queensland and around South Australia’s central and western coasts. The team is now using Y chromosome and genomic markers to explore the relationship between male lineages and specific regions, and other aspects of Indigenous history. A defining feature of the Aboriginal Heritage Project is that it’s a partnership with Indigenous Australians. Community consultation and family consent is required before any genetic samples are analysed, and these groups are always the first to hear, and help interpret, the results. Cooper says this respectful approach is having incredible impact. “Uncovering these family histories has been profoundly meaningful for the communities involved, and for people impacted by Australia’s infamous ‘Stolen Generations’. Recently, for example, we were able to help a family trace where their elders were forcibly taken from—or ‘relocated’, as it was described. Of the numerous health challenges faced by Indigenous Australians, chronic kidney disease (CKD) is arguably the highest mountain to climb. Its prevalence among Indigenous adults is equivalent to the poorest nations—approximately 18 per cent in total, and 34 per cent in remote communities. This makes Indigenous Australians around 10 times more likely than non-Indigenous to require renal replacement therapy, with dialysis their leading cause of hospitalisation. Many factors contribute to the situation, of course; and one offering exciting potential for widespread improvement is currently being explored at the University of Adelaide. 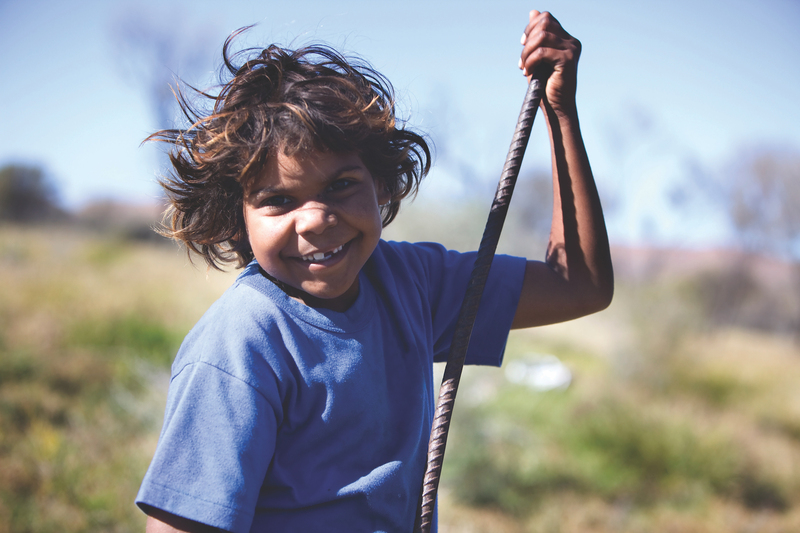 The University is leading a major collaborative investigation into an apparent link between CKD and periodontal (gum) disease, which is present among Indigenous communities at similarly alarming levels. With international studies indicating those with periodontal disease are at higher risk of developing CKD, and vice versa, the project team is testing whether improving oral health can also improve kidney function. “We’re providing a series of intensive periodontal treatments to around 600 central-Australian Indigenous patients with impaired kidney function and periodontal disease,” says lead researcher Professor Lisa Jamieson. The team will also closely analyse participants’ periodontal microbiota (bacterial community), she adds. If microbes are found to link periodontal disease and CKD it may be possible to develop specific treatments to target the causative agents. Another major Indigenous-focused University of Adelaide research program is documenting and building on Indigenous Australians’ native food knowledge, and helping to establish a viable “bush foods” industry to support their communities. Working closely with local charity The Orana Foundation, an interdisciplinary University research team is investigating four key areas. For Orana Foundation founder and restaurant owner Jock Zonfrillo, the project holds special significance. “It’s been a long-term dream of mine to bring recognition to Australian native wild ingredients, and the first Australians’ traditional food practices,” he says. Zonfrillo was awarded the prestigious 2018 Basque Culinary World Prize for his work in this area. This entry was posted in Environment, Health, Impact stories, THE supplement. Bookmark the permalink.